The country’s Christian heartland is finally free from ISIS rule. But those who left their families, homes and churches behind have found precious little hope remaining among the rubble. Iraq’s Christian heartland was finally freed from more than two years of ISIS occupation this fall as troops closed in on the country’s second-largest city of Mosul. But not before the destruction wrought on ancient Christian towns like Bartella and Qaraqosh was nearly absolute. There is little left now but broken tombstones, burnt churches, abandoned bomb factories and booby-trapped houses. Ismail Ibrahim Matti, an Assyrian Christian, lived under ISIS rule in Mosul for over two years after his hometown of Bartella was captured by the militants. He is seen here at a shelter for displaced Christians in Erbil, Iraq. 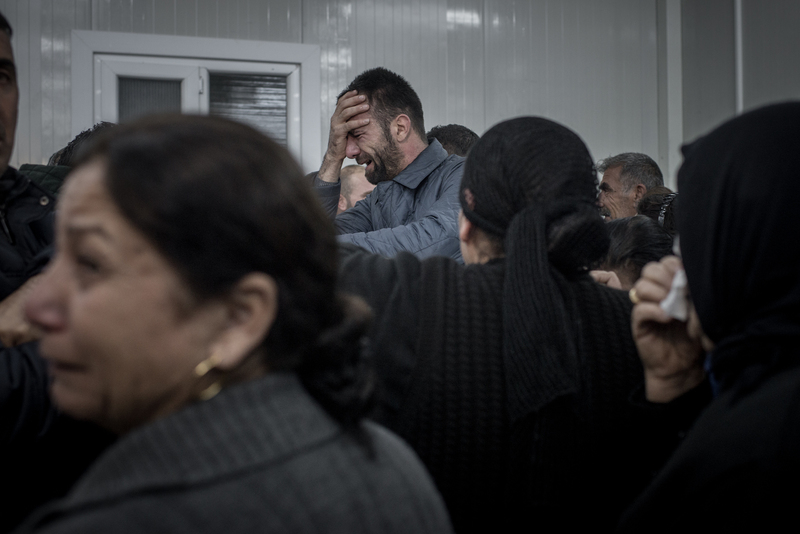 Family, friends and neighbors mourn over the caskets of six members of a Christian family who died at sea while attempting to cross the Mediterranean between Turkey and Greece in November 2015. The six dead family members were flown to Erbil, Iraq and their caskets brought back to the IDP (internally displaced peoples) camp where they had lived alongside other Christians who had fled ISIS last August. One child’s body wasn’t recovered. An estimated 100,000 Assyrian Christians fled their homes when ISIS arrived in mid-2014; most escaped into the Kurdish-controlled northern region of the country. It was the culmination of years of increased persecution, furthering the decline of what was once a large and flourishing community. Many adherents now see little future for the religion here. Iraq’s Christian population has dropped from 1.4 million to less than 300,000 over the past two decades. Thousands joined the mass migrant flow to Europe, but in some cases arrived back in coffins after falling victim to the risky sea crossing. Six Iraqi Christian family members are buried in a graveyard in Erbil, Iraq on December 2, 2015. The family died after their boat capsized while attempting to cross between Turkey and Greece. 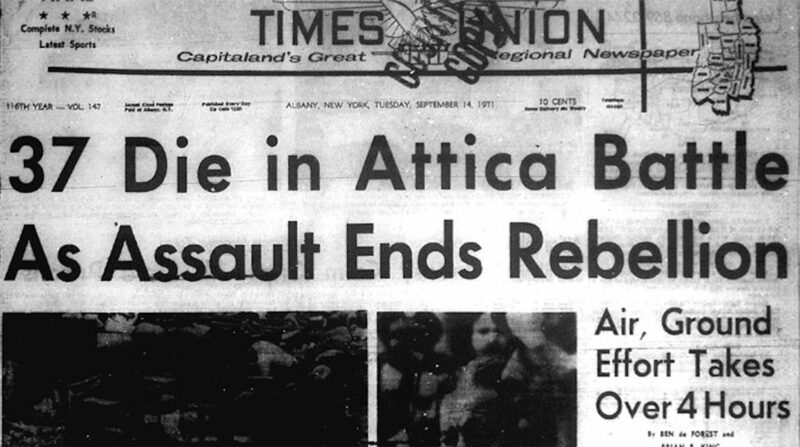 They were buried by their extended family and local community. Those who remain are often still displaced, living in caravan shelters or camps and struggling to feed their families or access medical care. There’s little chance for change. Job opportunities in the country are bleak, and the Kurdish north is in the midst of an economic crisis. Two Christian IDPs from Qaraqosh getting married in Erbil, Kurdistan, Iraq on November 7, 2015. 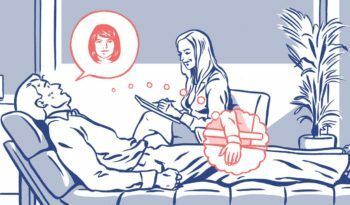 Many young adults have put plans for marriage and relationships completely on pause, while others, like this couple, opt to hold ceremonies that are much smaller than celebrations they would have been able to throw at home. Iraqi Christians, many displaced during the capture of Mosul and its surrounding countryside by ISIS last year, take communion during a Christmas Eve mass at a church in the Ankawa neighborhood, of Erbil, Kurdistan on December 24, 2015. Left: A wall inside Rabban Hormizd Monastery outside Alqosh, Iraq. Right: Nagham, 35, originally from Bakhdida in a Christian IDP Camp in Erbil, Iraq. Many young Christians have put their future on hold until things stabilize – suspending their education or looking for schooling options outside the country. Some blame government forces for not protecting them from ISIS and have formed militias like the Nineveh Plain Protection Units (NPU) to act as a defense force for the community and cities. Rabban Hormizd Monastery near Alqosh, Iraq, February 27, 2016. A statue of the Virgin Mary at a church in Alqosh, Iraq, February 27, 2016. Jameel, a Nineveh Plain Protection Unit (NPU) fighter, adjusted a cross outside a partially destroyed church in the city of Bakhdida, Iraq, October 30, 2016. The road through empty villages along the Khazar frontline position in Kurdistan on January 1, 2016. This frontline is one of the closest to many of the Christian cities captured by ISIS in 2014. Nineveh Plain Protection Unit (NPU) fighters train at their new base on the outskirts of Alqosh, Iraq on February 27, 2016. NPU is an Assyrian Christian militia created to secure and defend previously held Assyrian territory lost to ISIS in the summer of 2014. Even with ISIS on its back foot in Iraq and expelled from most of the Christian areas they once occupied, little hope remains for national stability, let alone safety for those Christians who remain in the country. Andros, 20, originally from Bakhdida, in a Christian IDP Camp in Erbil. 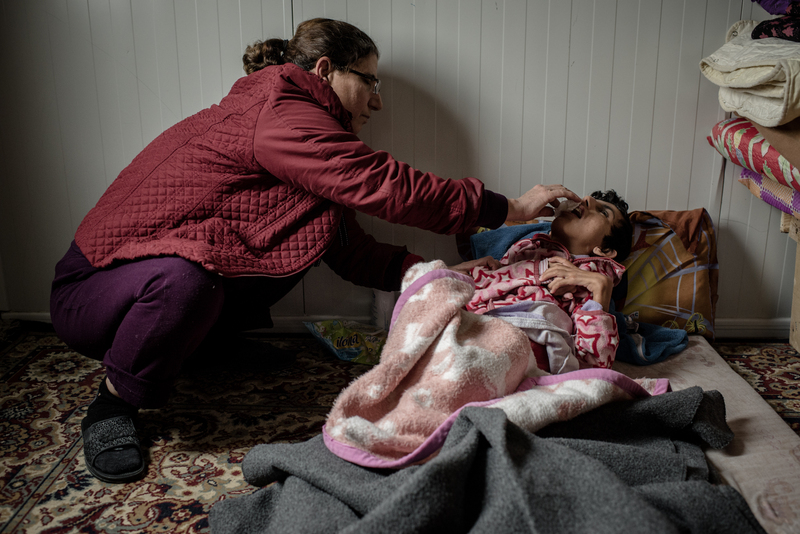 Junbad Johanna holds her 24-year-old disabled daughter Maysaim’s head to wipe drool off her mouth inside their caravan at a Christian IDP camp in Erbil on February 2, 2016. Doctors in the region told the family they are unable to treat Maysaim’s disorder, leaving the family with no option other than to try to care for her themselves. They took shelter in Kurdistan after ISIS captured their town in August 2014 and moved to the Christian IDP camp of Ankawa II in January 2016 because they are no longer able to afford housing in the community. A destroyed unfinished university building on the outskirts of the newly recaptured city of Bakhdida October 30, 2016. 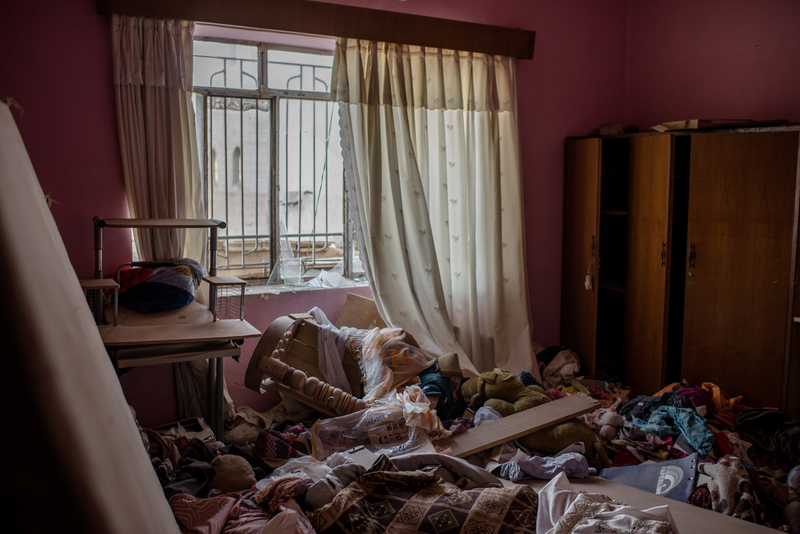 The interior of a ransacked house in the city of Bakhdida on October 30, 2016. Archbishop Yohanna Petros Mouche of the Syriac Catholic Church in Erbil on February 26, 2016. Two Christian women who lived under ISIS for over two years pray with a priest in the newly recaptured city of Bakhdida on October 30, 2016. Danny, eleven, originally from Bakhdida, in a Christian IDP Camp in Erbil. 2016 marks the third year those who fled will celebrate Christmas away from their homes. While candles are lit in what remains of the churches destroyed by ISIS this year, much will need to be done before former residents can be assured a safe return.